– Big Hart: Open May 1 – Sept. 1, boat ramp open year-round. – Amity: Open May 1 – Sept. 1, boat ramp open year-round. – Lake Springs: Centre Point and Pine Point loops are open May 1 – Sept. 1. Deer Run loop and the boat ramp are open year-round. Mallard Point, River Birch, and Squirrel Nest loops will remain closed for the season. – West Dam: Open May 1 – Sept. 1. A portion of the park is open year-round. – Parksville: Open May 1 – Sept. 1, boat ramp open year-round. Below Dam South Carolina and Clarks Hill Park day use areas, both located in South Carolina, are open year-round. Gill Point day use area in Georgia will remain closed for the season, but the boat ramp remains open with no services. 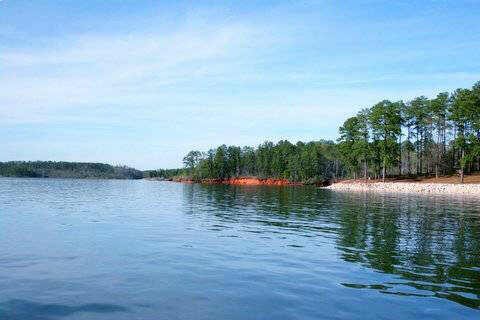 All area/loop closures are due to reductions in the Thurmond Lake federal recreation budget. The Corps is actively seeking out partnerships with local counties to curtail park closures. There is a $4 daily user fee for all of the recreation areas listed above, with the exception of Below Dam South Carolina. A $30 annual pass may be purchased at the Visitor Center or at any Corps recreation area and allows entry into Corps-operated day use areas and boat ramps at no cost for one year from date of purchase. Picnic shelter reservations at these parks can be made by calling the National Recreation Reservation Service toll-free at 1-877-444-6777 or online at http://www.recreation.gov. For more information, call the J. Strom Thurmond Project Office at 800-533-3478.